Join the discussion on our forums! 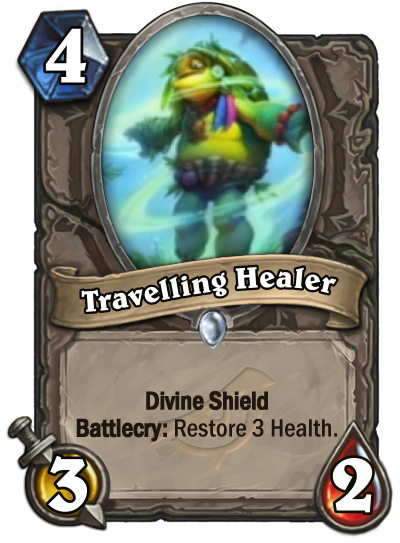 Come discuss Traveling Healer over in our dedicated Traveling Healer discussion topic. Divine Shield Battlecry: Restore 3 Health. Plays well with 2 of the Lackeys. Shroom Brewer saw a lot of play. This one has Divine Shield but just 3-attack. Might see some play, might not.